My book promotion was a success. Shirley Link was free for a day and she went nuts! 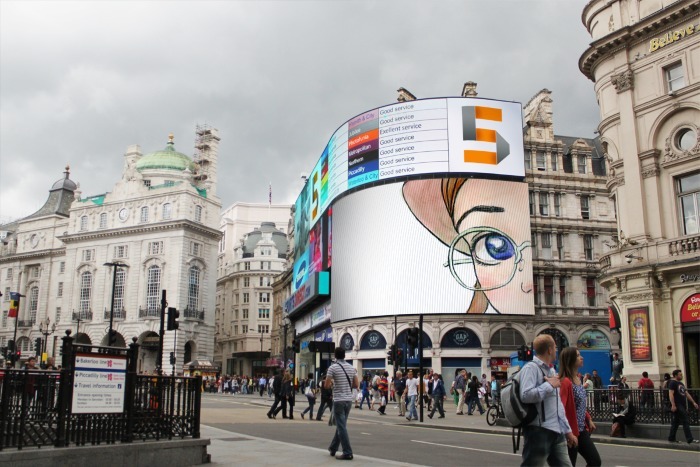 I dream of Shirley Link over Piccadilly Square! My mother was in my head, as usual. She’s old-school and doesn’t take to this whole new digitalized twitty world and virtual socialized friendship thingy. She also doesn’t know what to make of independent authors partnering with Amazon. She just knows she doesn’t like it. She advised against relying on Amazon for my new book, Shirley Link & The Safe Case. She’s an accomplished author so I tend to favor her opinions. But after years in the online games business, and jumping spastically around the brushfire of free/.99 cent apps, I know where this ebook inferno is going. Still, she’s my mom! So against every old bone in my body I opted into Amazon’s KDP program when I self-published Shirley. What’s KDP? It’s a lot of things to a lot of people. In a nutshell, KDP asks for exclusive distribution of your book for 90 days, which seems a little excessive to me. 30 days would be cool – but 90? In return, you can opt into the Kindle lending library, which lets you collect funds from a bucket of cash for the author community every month. I have yet to see if that will yield much dough, but will update one way or another when I find out. The other benefit of the KDP program is the ability to give away your book for any 5 days of your choosing (within that 90 day exclusive window). Big deal, right? Yeah, it is, actually. It’s the biggest deal Amazon offers authors. On Shirley’s free day I saw 3000 downloads and would have seen at least double that if I’d kept it going for two days. Yes, they were free but somehow I still made .02 per copy. I’m not sure why that is, but when I find out, again, I’ll update here. As I get more experience with self-publishing I’ll determine the reason for the dismal sales rate post-promo. On the upside, wow. One day, 3000 downloads. To my delight, the day after the promo I noticed the book popping up in people’s library on GoodReads. That was really satisfying since that means I’ve become a part of their library that they’re tracking. Assuming my book is good (ahem) then I’m on my way to gathering that small base that all new authors crave. I plan on capitalizing on my other free book promotion days soon. I’ll apply some learned lessons and write about how it goes. What were those lessons learned? 1) Have a great cover. I only have my gut to go on but I’m positive that my book cover nailed it with my intended audience. 2) Place your book in one low traffic category. There are several dozen choices so you don’t need to feel shackled by the main genres when tagging your book. The Kids Mystery genre isn’t small but it also isn’t humongous and I’m sure I hit #1 because the competition wasn’t as fierce as the general adult genre. It should be noted that once you hit #1 in any genre your visibility goes through the roof so it’s a lofty goal to hit. 3) A crucial FYI, the list you’ll appear on is NOT the best seller list. That’s the list Amazon reserves for overall money-making sales. The great thing about KDP is that the list is a popularity list where KDP authors can compete with the big boys by being downloaded for free. It’s the ultimate handicap for indie authors! Overall, my findings are pretty consistent with the data in this excellent post Amazon & The Importance of Popularity by David Gaughran . 4) Run the promo for more than one day! I watched as downloads accelerated near the end of my free day. I was climbing every chart I was on. Then it all ended because I made it a one day deal. Dumb. 5) Most importantly, get the word out before the book promotion. Check out my post on how to EASILY maximize your chances by promoting your free ebook. You just need to let these sites know the url for your book, the DAYS it will run (remember, more than one day) and an image in some cases. KDP has been worth it to me so far. I need to get my head around my strategy as the Shirley series expands this Fall. How will KDP limit my promotion of a series vs. a single book? Are the upsides of KDP enough to make me go with it for 100% of my books? Ah, that’s another post. I look forward to reading it! Because as of now, I have no idea.